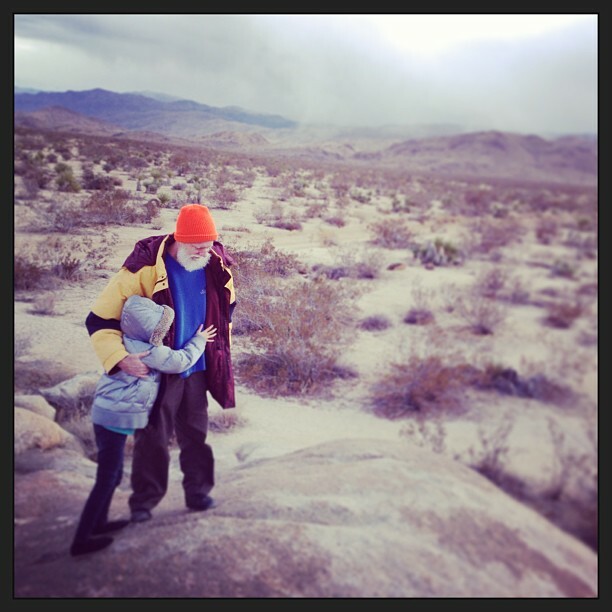 Peter Dow with Penelope Dow at Joshua Tree National Park, California, December 30, 2012. Photo taken by Madeleine Dow. Yesterday was my turn to work reference. It was a Saturday, so my obligation is a slight disruption to my routine of family time and personal errands. Yesterday, however, was special. 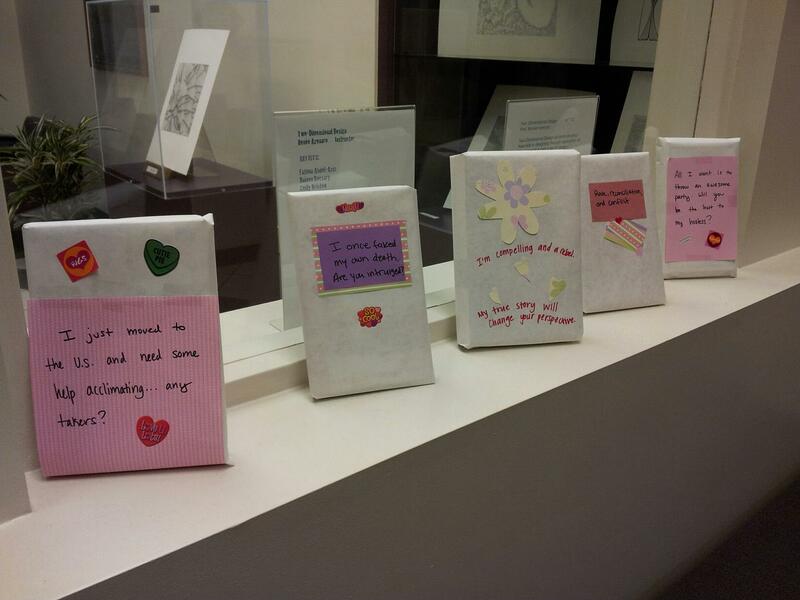 Not only was it Groundhog Day, I oversaw the book wrapping for Blind Date With a Book 2013 (BDWB13). Our first time doing this particular campaign. Thanks to volunteers from Sigma Tau Delta’s membership, I didn’t have to do the wrapping of books and DVDs. And we still ended up with 46 wrapped and ready items with catchy descriptions and attractive decorations. We hit a few snags that were dismaying, such as the last-minute problem of temporary barcodes becoming non-functional all of a sudden (until it dawned on me that I needed a beginning and ending digit that weren’t showing up with the circulation desk scanners. Thankfully I had my own scanner that showed the difference! It just took me a good long while to notice.). Another was a few missing temporary barcodes that failed to print. Yet another is the mirror image printing that flipped some text backwards on the fliers and tent cards. All were solved. No small thanks to the calm and methodical thinking of my husband, Peter Dow. He’s a calming influence on my fiery temperament. All problems solved. All systems are go. We’re now ready for Monday, February 4, 2013, the beginning of the BDWB13 campaign at University of Redlands Armacost Library. To think, BDWB13 wasn’t conceived of till January 27, 2013. Just a week to plan and execute it all! And I was able to get a few emails out on behalf of Muslim Journeys, too. This was fun! Loads of work, worry, and time, sure. But, oh, how satisfying and lovely! Nothing makes my heart pump harder than sharing my love for libraries and community engagement. Now, I must get back to the business of writing, thinking, and planning on behalf of other projects. 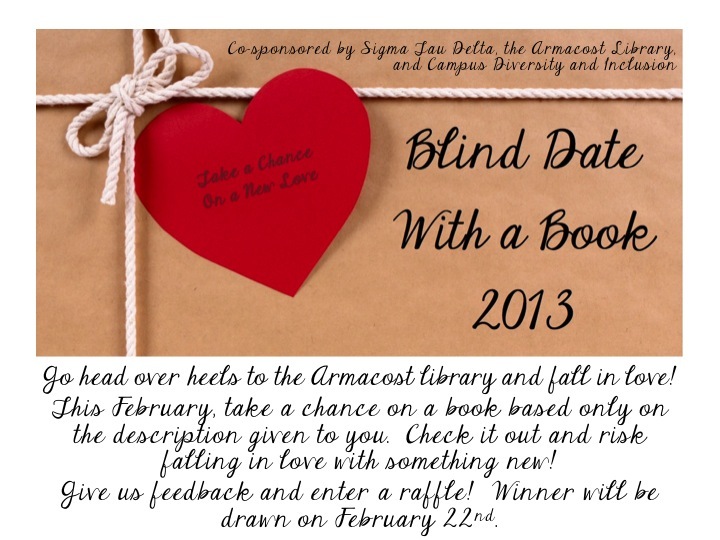 If you’re a University of Redlands community member with current borrowing privileges at Armacost Library, please come see our Blind Dates. Maybe even take one home with you.